The Left-wing “Social Justice” bent of modern self-declared witches is sadly not a new or novel thing, with everything from degentrification, and Google to transphobes and Trump being hexed or some other pseudo-spiritual ritual applied against them. 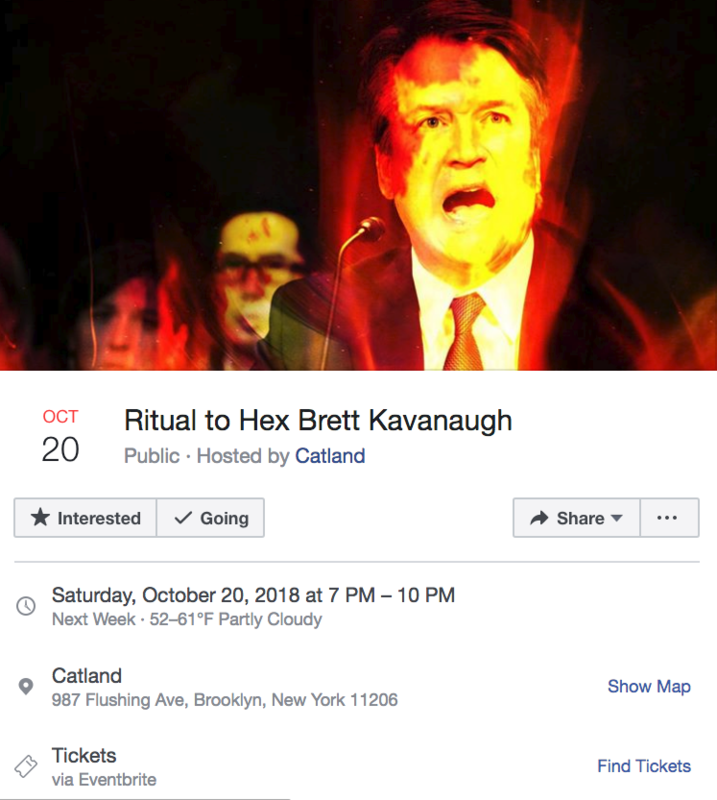 It comes to little surprise then, to learn that their next target for hexing is newly appointed Supreme Court Justice, Brett Kavanaugh. What else did we expect from the “party of science“? This entry was posted in Uncategorized and tagged Democrats, derp, FacePalm, Lulz, Mood Music, WTF. Bookmark the permalink.